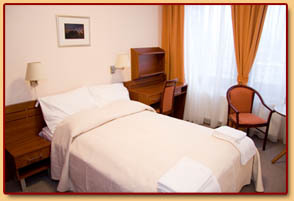 Welcome to the Hotel E*Stella **Superior, the internship hotel of the Eszterházy Károly University. We wish you an enjoyable stay! I think that the baroque town of Eger appeals to all visitors with its historical atmosphere and natural beauty. Our guests will have wonderful memories of the time spent in Eger. The old town with its shops, cafes and restaurants is just a few steps away from the Hotel E*Stella. Some of the sightseeing highlights include the medieval Castle, the neoclassical Basilica and the baroque Lyceum’s beautifully painted interior together with the historic Archdiocesan library. The Magic Tower of the Lyceum houses among other things one of only two working Camera Obscuras in the world, as well as a rooftop balcony with the best views over the town. End your tour at the Lyceum Café and enjoy the freshly made cakes, sandwiches and coffee. Eger region is world famous for its wine growing. The delicious grapes grown on the sunny slopes surrounding the town are the vital ingredients for the world-famous Eger Bull’s Blood and Eger Star wines. Try our local wine and food also in the nearby Szépasszony-valley and its numerous wine cellars and restaurants. Right in front of the Hotel E*Stella lies the Archbishop’s Garden Érsekkert, and just around the corner you can find the Turkish Baths. The baths and the adjacent outdoor swimming pools are famous for their curative thermal waters with the temperature of the water ranging from 30˚C to 38˚C. I am really glad that you have chosen our hotel. Our friendly staff will be happy to help you and answer any questions you may have. Waiting for you any time of the year!